Happy New Year, everyone! We hope you all had a very merry holiday season and are back refreshed for the new year! Our first post of 2016 is an exciting one and one that we've been bursting at the seams to share with you! 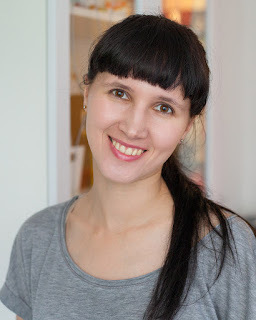 We are thrilled to announce that Anna Kossakovskaya is the newest addition to the ME family! This was one that could not be avoided. When Anna was knocking our socks off with every single one of our challenges, month after month and taking over our Instagram feeds with her jaw dropping creation, we knew she MUST come on board! And so we asked! And she said YES! You'll all start seeing Anna's work with ME starting with our January release! Be prepared to be absolutely blown away by her masterpieces. Each one is even more stunning the next. 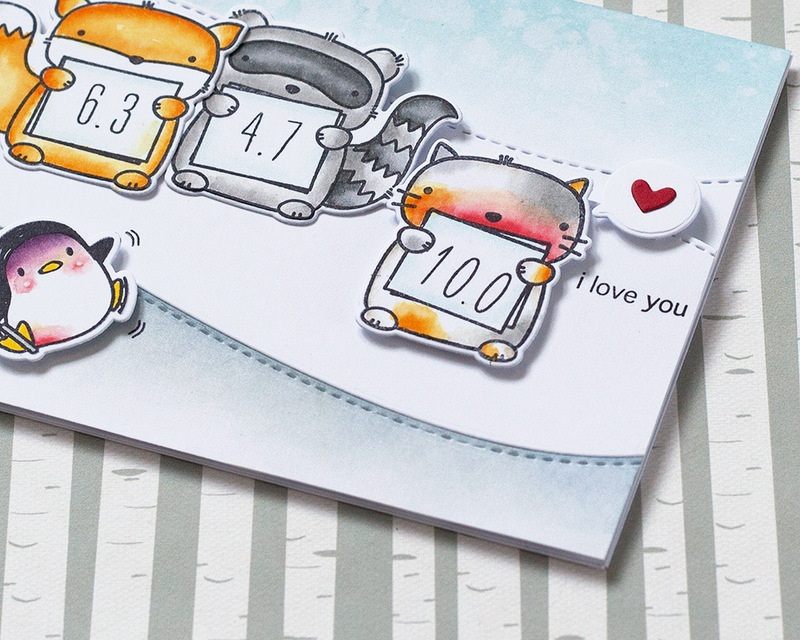 She will really show you how to stretch your stamps in clever and imaginative ways. We are so excited! In the meantime, she was so kind to make something to showcase her talents on today's announcement. Read more about her below and be sure to give her some love on her blog www.umichka.com! Hello, I'm Anna and I'm so excited and honored to join the Mama Elephant design team! I live in Saint-Petersburg, Russia with my family. I discovered card-making and scrapbooking in 2011 before our baby arrived and since then it's an important part of my life. 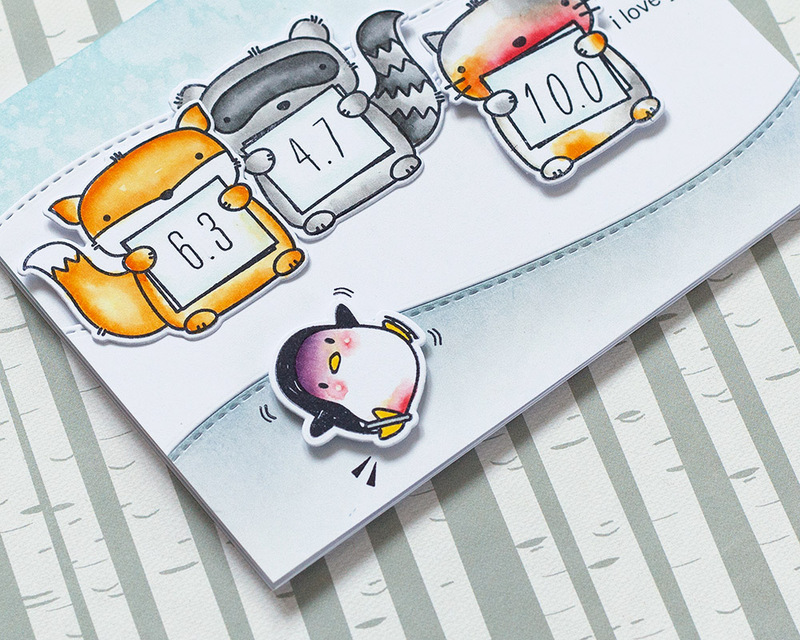 I like to create cards most of all other paper objects and especially cards with funny scenes full of details. And today I have two cards I created for you. The first one is about the love. We love our loved ones with all their ups and downs, no matter what happens. And this card is about this. I made a little scene about figure skating (oh I like to watch TV broadcastings!) The little penguin from Arctic Penguins set is skating on the ice and three judges from Three Amigos set judge him. And the second card is pretty simple and one-layered, I used Three Amigos set again here and this card is made with masking technique. 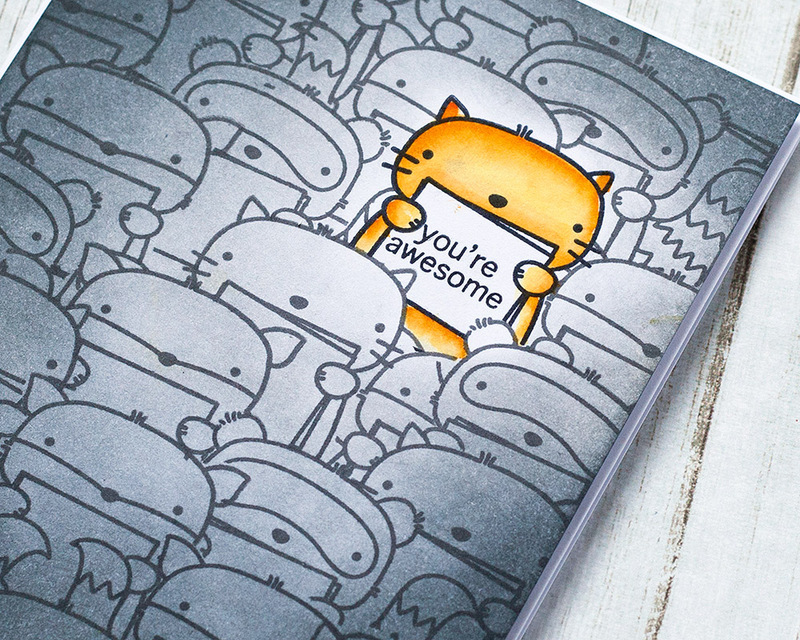 And one cat from the crowd tells you, that you are awesome. Welcome to the ME family, Anna! It's gonna be a blast!!! We'll see you back here soon for our January release! You're gonna love it! great news!!!!!!! you are lucky to have each other!!! Congratulations, Anna!! You are soo talented and I admire you projects. I knew that this HAD TO come :) looking forward to your next creations!! Yay, Anna!! LOVE your cards!! Congrats!! I always adore her creations as well. Shes is just fantastic. Congrats and welcome, Anna! I absolutely love your work :)! Congratulations!! I LOVE your cards!! Totally adorable!! Welcome Anna! Добро пожаловать! Can't wait to see your beautiful projects!!! Anna...you are a great addition...I have been watching your cards for awhile and we all can learn a lot from you. I am excited to see you on the ME team. Congratulations! 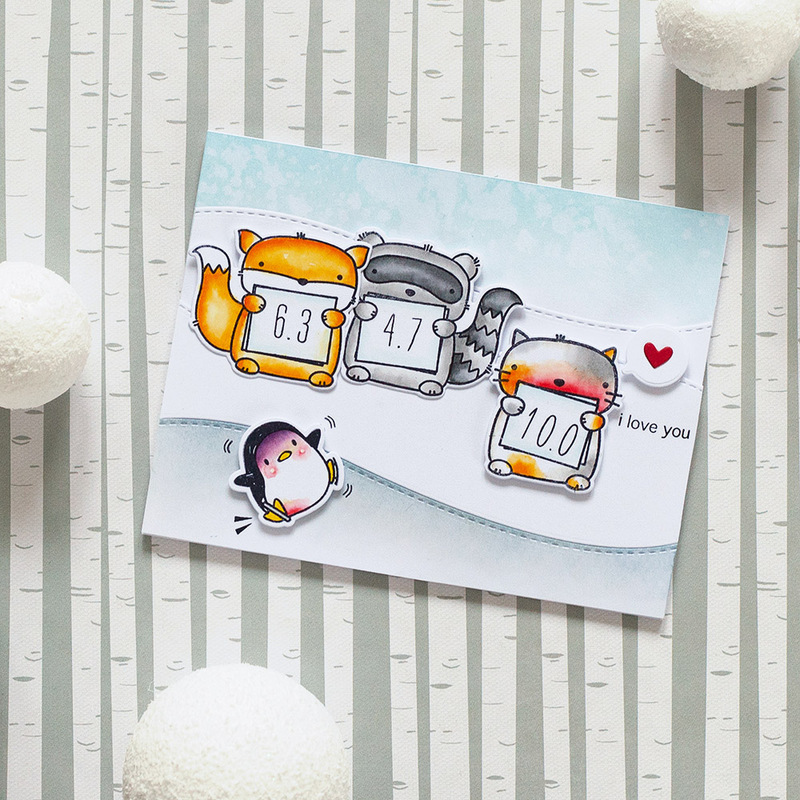 Love your cards and the adorable little penguin on the first one! 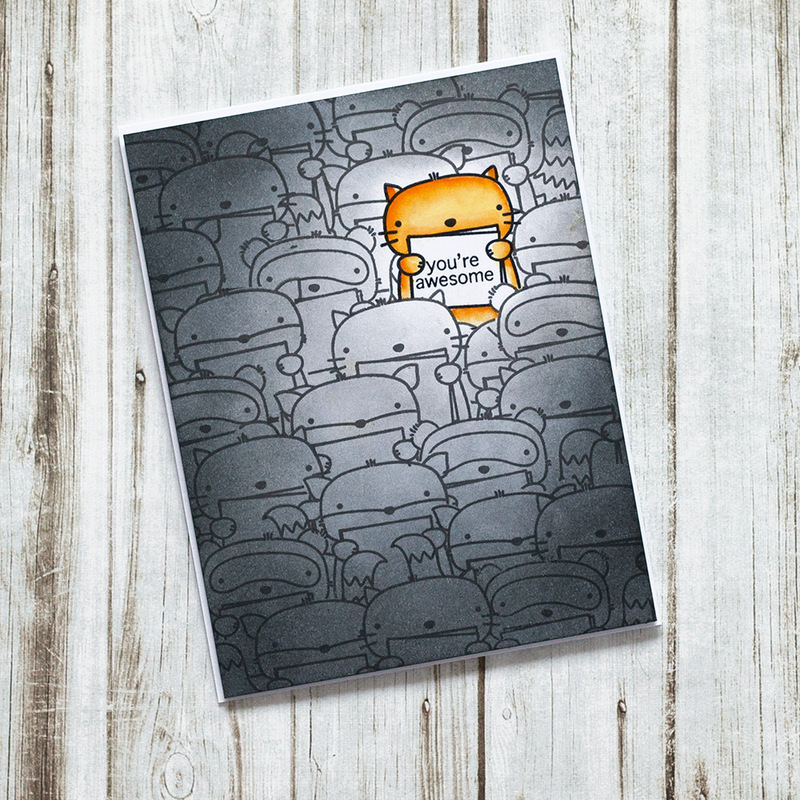 Love Anna's work and these cards are no exception...so creative! Congratulations Anna! Your cards are amazing! Congratulations Anna and Mama Elephant. Anna, your cards are great! oh my gosh I love these two cards! Looking forward to seeing more of your work! Finally I;m at home and can tell the HUGEST thank you for inviting me to your team and for such awesome and sweet words about my projects, it makes me smile and cry! And for all ladies - it's so awesome and all your comments are so sweet and warm - thank you so much too! I can't even describe how much I was happy to read the all! Very creative!! Love both cards. The second one I can only imagine all the masking!!! But the result is amazing! Yay, this is totally a match made in heaven! Anna loves your products and makes incredible projects! Congrats to Anna and congrats to ME!